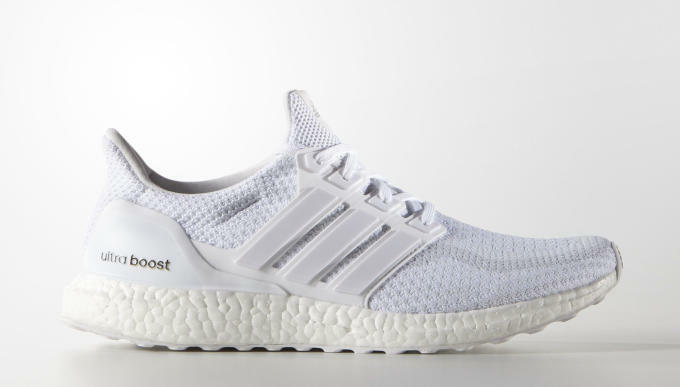 The 2016 "Triple White" adidas Ultra Boost is now available. 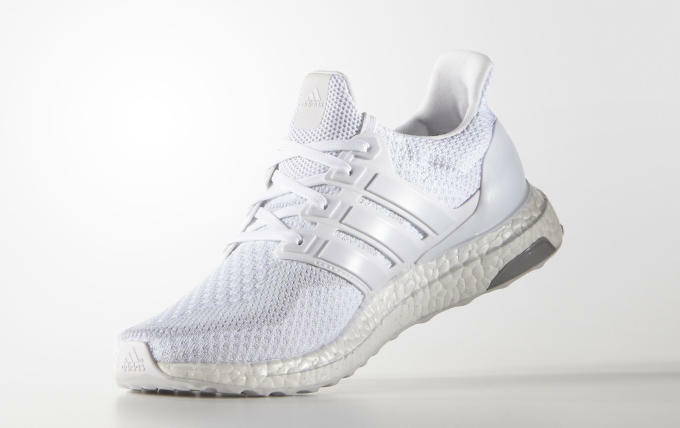 We knew they were coming, and now one of 2015&apos;s best sneakers gets the full triple-white makeover. 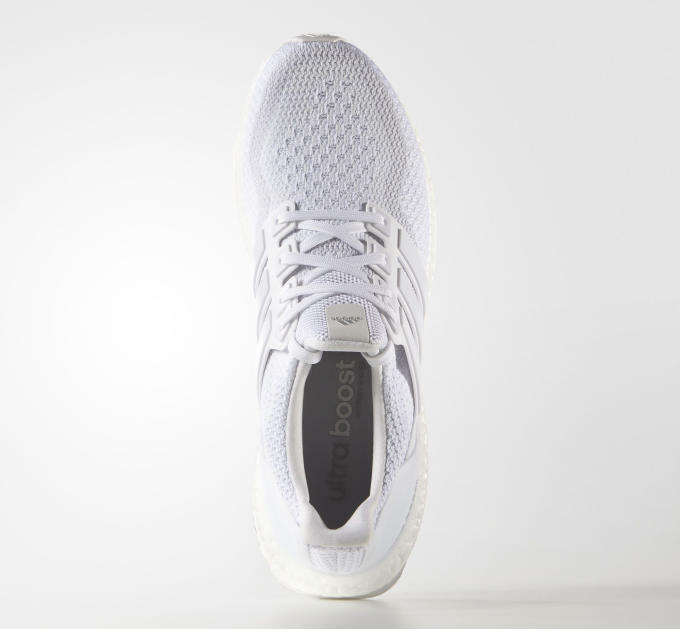 There are a few key differences between this version and the one we saw last year, with the most obvious being the extra-durable white Continental rubber outsole on this new pair. 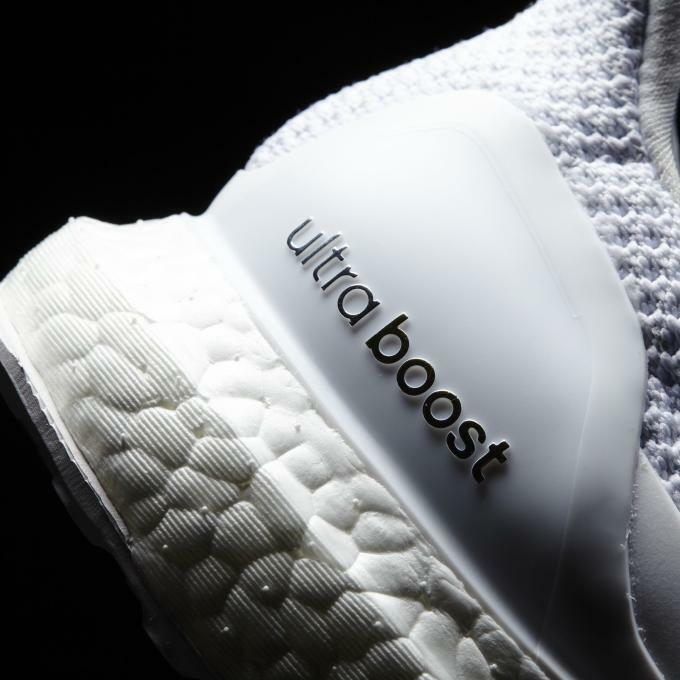 Take a closer look and you&apos;ll notice that the Primeknit pattern has also been updated with a nearly tonal gradient pattern. 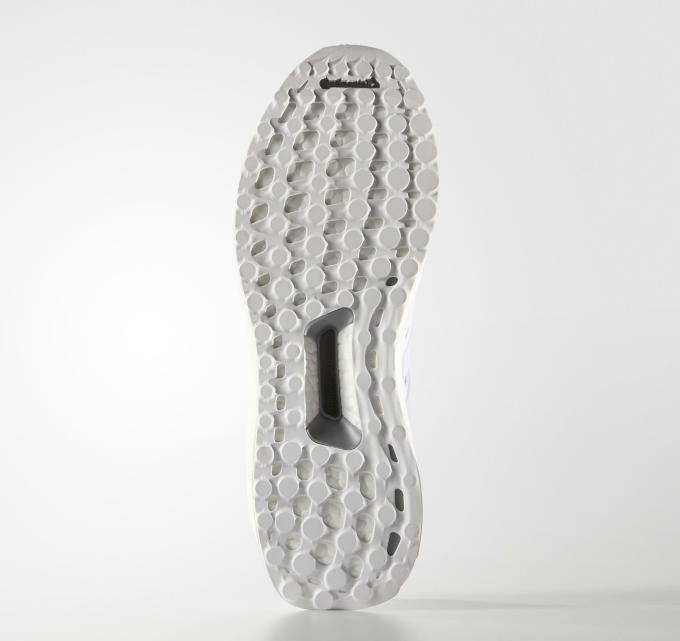 Lastly, the Primeknit extends to the ankle on this pair, where 2015&apos;s iteration used mesh. 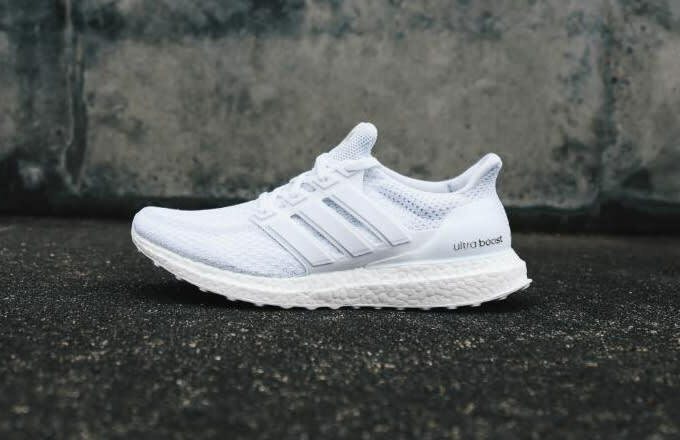 Previously, these "Triple White" Ultra Boosts had only been available in kid&apos;s sizing, but adidas.com just stocked them in men&apos;s sizes for $180. 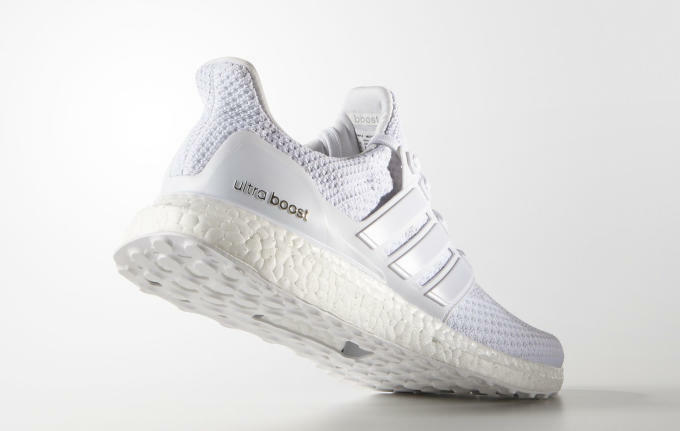 Whatever you do, don&apos;t snooze on these.